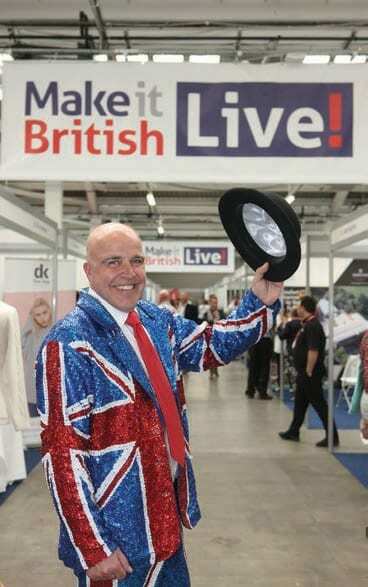 UK textile manufacturing is currently in a state of flux. The industry is more active than it has been for decades: exports are increasing, and the demand for ‘made in the UK’ labels is rising due to the perception of quality that British-made products afford. 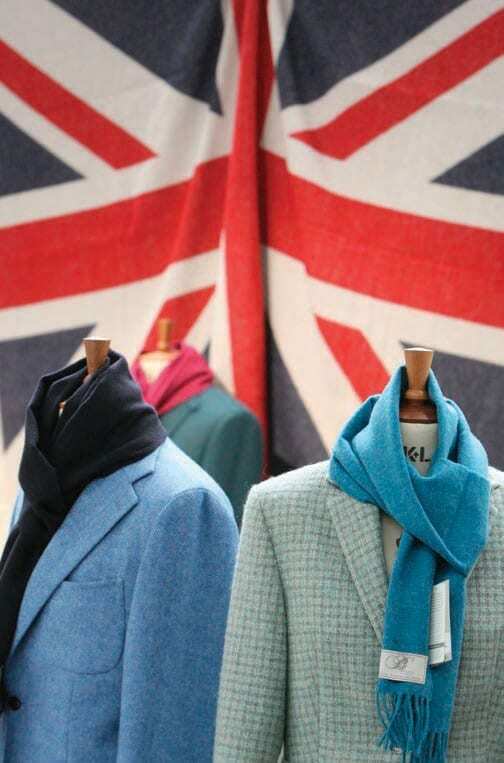 But challenges such as skills shortages, ethics, costs of raw materials and retailer decline threaten to derail the resurgence of the British textile industry before it has had a chance to realise its true potential. There are currently £9 billion worth of textiles produced in the UK every year, and the number of people working in roles directly associated with textile manufacturing is in the region of 120,000. Products made by the UK textile industry are diverse: dresses made in boutique ateliers in London that grace catwalks around the world; wool cloth woven in Yorkshire and used by some of the world’s finest tailors; technical textiles such as 3D knitted parts for the automotive industry; and even the fibre for artificial grass. Unlike many other manufacturing sectors, which are made up of a few big OEM players, the textile industry is dominated by SMEs and micro businesses with 82% of companies employing fewer than 10 people. The demand for UK textile manufacturing in 2018 has been driven in part by apparel companies looking to source fashion-led items closer to home in order to increase speed to market. Many of the online-only fashion retailers, such as BooHoo and MissGuided, who have seen phenomenal growth in the last twelve months, have done so by using a local supply chain that can react quickly to new trends. The UK textile industry is dominated by SMEs. Over 80% of companies in the sector employ fewer than 10 people. The Textile industry – especially ‘reshoring’ companies – is investing heavily in automation as a way to offset higher labour costs of UK production. The UK textile industry exports nearly £10bn of manufactured goods and associated services each year. Traditional bricks and mortar retailers such as John Lewis and Arcadia are also manufacturing a greater percentage of products closer to home, for the very same reason. 2018 was the year that more fashion brands began to reshore production back to the UK. 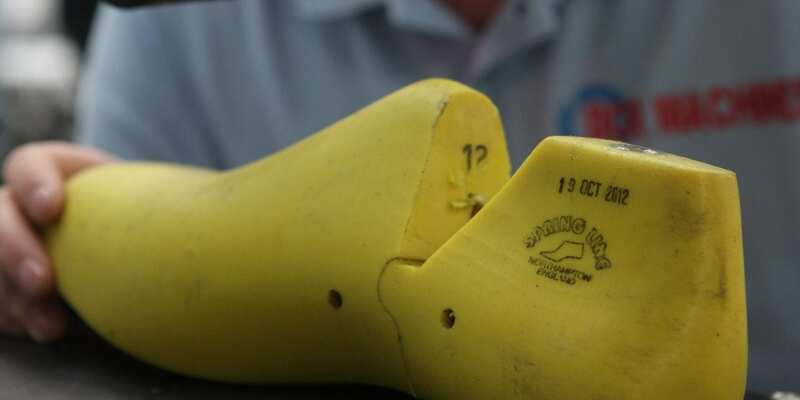 Clarks footwear opened a UK factory after 12 years’ absence, in Somerset, next door to its original headquarters in Street. The new plant will be capable of manufacturing up to 300,000 pairs of its iconic Desert Boot per year. Marks and Spencer is collaborating with a supplier to build a state of the art hosiery factory in Northern Ireland. Both the Clarks and Marks and Spencer manufacturing plants will implement advanced automation in the production of their products, which will allow them to increase efficiencies and offset the higher UK labour costs. 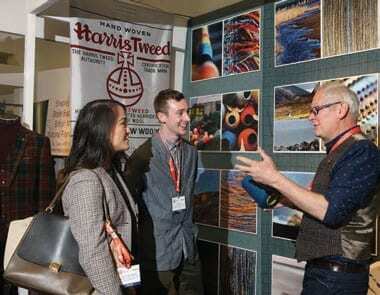 Consumer demand has a large role to play in the increased interest in British-made products. 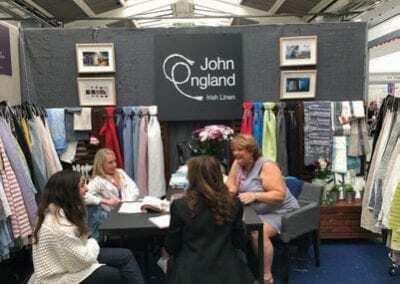 Provenance, and transparency in the supply chain, has helped push UK-made clothing back to the forefront, with heritage firms such as knitwear manufacturer John Smedley and cashmere mill Johnston’s of Elgin growing their businesses through exports, particularly to Japan and the Middle East. 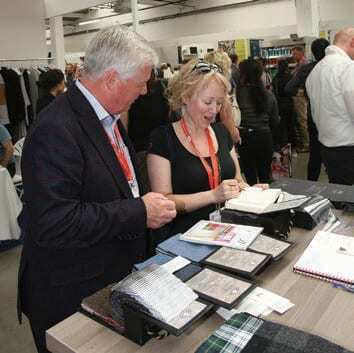 The appeal of UK textiles to an overseas market means that, including design and ancillary services, manufacturers now export nearly £10bn in textiles a year, a growth of 28 percent in the last five years. This increased demand for their products after years of stagnant growth means that many textile businesses now have the confidence to invest. Over £400 million was spent on machinery and research and development last year, a 43% rise on the previous year. This investment allows the UK textile industry to compete in a global marketplace and, despite not being the size it once was, it is still the 15th-largest textile producer in the world by value. 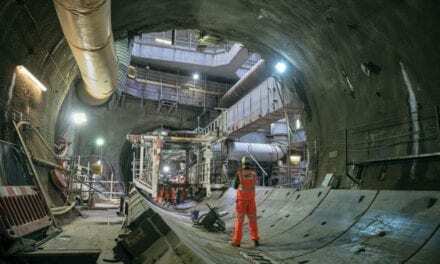 Surprisingly, despite investment, capacity in the UK is one of the biggest threats to the growth of the industry. An ageing workforce and a failure over the last decade for manufacturers to implement succession planning into their businesses, or a reluctance to take on any more staff in case the bubble should burst, means that demand is now outstripping supply. The £9bn UK textile industry’s diverse output ranges from technical textiles to dresses seen on high-end catwalks around the world. Many mills are running 24/7 to meet demand but there are still bottlenecks in the supply chain. Textile finishers and dyehouses are in short supply, as are machinery technicians and garment machinists. 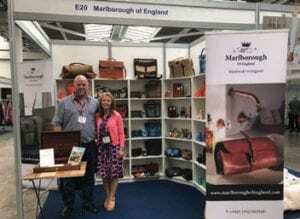 In reaction to the lack of availability in factories we are now seeing a movement towards a more ‘cottage industry’ style model, with micro-mills and small workshops being set up by designers wanting to take control of their own production. These micro-factories not only provide more flexibility to a designer; they are being used to build a story behind their brands, to portray the provenance of their products. While 2018 has been a great year for most UK textile manufacturers, there have been a few casualties. One of the last remaining lingerie factories, AJM Sewing in Wales, shut its doors, as did the Florida women’s shoe factory in Norfolk. Both cited the loss of key contracts as the reason for closure. There is no doubt that the tough trading conditions on the high street are likely to pose problems for those manufacturers that rely on retailers’ orders to keep the factories in work, and Britain’s upcoming exit from the European Union is not going to make things easier. While Brexit means that many businesses are looking to manufacture locally because of concerns over trade tariffs, customs delays and the devaluation of the pound, many of the components and machinery used in the textile industry are imported, so manufacturers are facing rising costs as well as potential delays to the deliveries of raw materials. The European Union is the UK’s biggest export market for clothing and textiles, accounting for three quarters of the total figure. In the short-term, a decline in sales to the EU would potentially have a negative impact on many businesses, who will be looking to expand into other areas to offset this. Yet by far the biggest risk associated with Brexit to the UK textile industry is that there will be less migration of skilled staff from the EU. 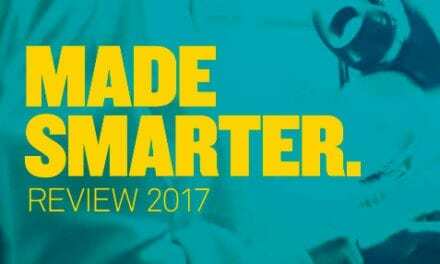 A recent report highlighted that 20,000 new manufacturing jobs will be needed to keep up with projected demands. Apprenticeship programmes are being rolled out but a lack of manufacturing focus in schools and colleges, and now the removal of textiles form the National Curriculum, means that it is unlikely that the UK will be able to meet the level of demand without importing skills. 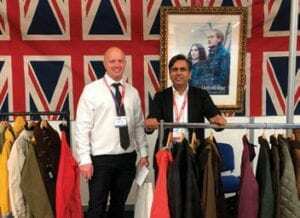 the appeal and cachet of UK textile products. Featured brand: Faering. Furthermore, many manufacturers are reporting that European staff are leaving the UK due to the uncertainty that staying in Britain holds. High end garment manufacturers in London are suffering in particular; 70% of textile workers are from areas in the EU such as Poland and Bulgaria, where sewing skills are still taught to a high level. 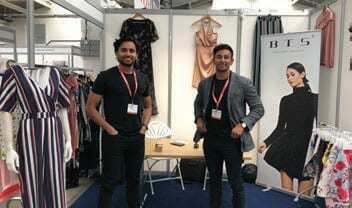 Organisations such as the UK Fashion and Textile Association, which represents designers, manufacturers and retailers, have been working with the Government to help them gain an understanding of the complexity of the textile supply chain and to raise awareness of the skills needed to work in the industry. Currently, a garment machinist’s pay doesn’t reach the Home Office’s current threshold of £35,000 in order to secure permanent residency, yet it can take five to ten years to train up to the level required by many of the London ateliers.Adam Mansell, CEO of UKFT, expressed the industry’s widespread concern. “We need to develop and promote technical routes into the industry through higher level apprenticeships,” he said. “And we need to plan to make sure that we are developing staff with the skills that will be needed in 10 years’ time”. As well as the challenges of Brexit, the other major concern for the UK textile industry is the small minority of garment manufacturers who have been in the spotlight for illegal employment practices. 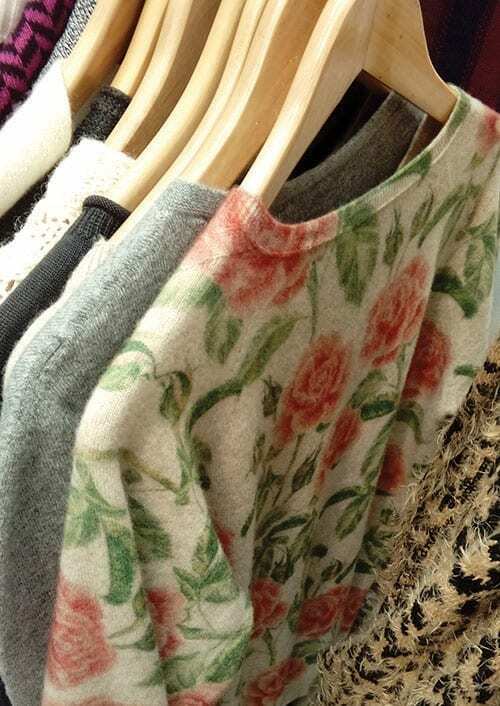 The UK government launched an inquiry into the sustainability of the fashion industry in 2018 and several of the UK’s largest retailers were invited to meet an Environmental Audit Committee, after concerns were raised about UK garment workers not being paid the minimum wage. Its effects are likely to be felt going into 2019. We must not be shortsighted and complacent about the growth of UK textile manufacturing. There is still a long way to go; manufacturers that are planning for every eventuality in the future will be the ones that will reap the highest rewards.